Cherry Blossoms is a video slot machine from NextGen Gaming casino’s which can deliver a nice set of features and prizes. All you have to do is to start spinning the reels and this way you will get the opportunity to find a nice Japanese theme plus some special features that includes free spins that can be retriggered and some multipliers that will double your winnings. 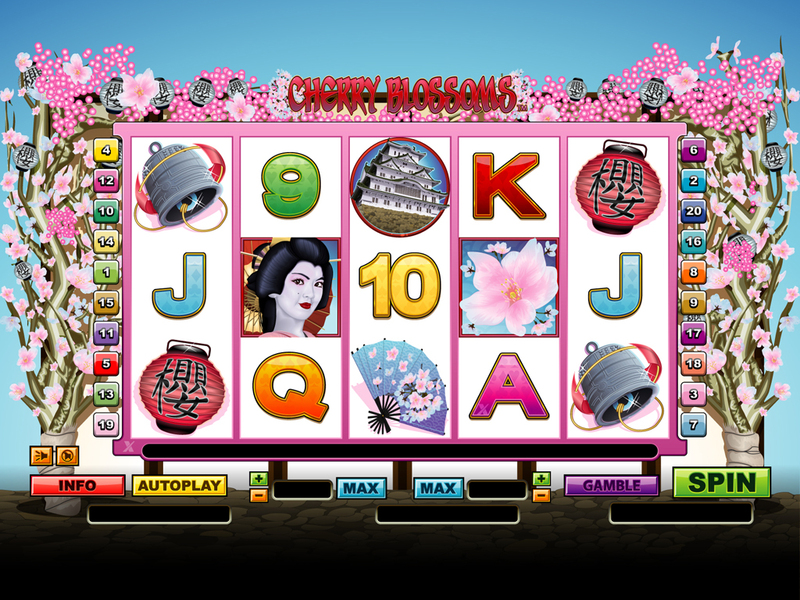 The Cherry Blossoms slot features 5 reels and 20 pay-lines and this will take you into a nice journey in Japan where you can find all sorts of graphics and symbols like the Geishas, lanterns and pagodas. One of the most important symbols that you can find while playing this slot machine is the Geisha which is the wild. Along with the fact that it can help you get many winning combination of symbols as it can replace exactly the symbols you need, there is also a fantastic fixed jackpot that is worth up to 12,500 coins. The free spins round must be taken into consideration, as it holds probably one of the highest payout available while playing this video slot game. 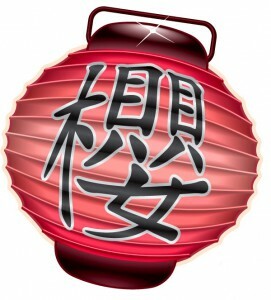 The symbol that triggers this bonus round is represented by a cherry flower and along with the fact that there is a nice payout attached, you can also win 15, 20 or 25 spins. You will be pleased to see these free spins happening in front of you, especially since the payouts available will always tend to be much more profitable compared to what’s available during normal play. There is also the possibility to retrigger the free spins and this way the fun can always begin once again. The coin denomination available at Cherry Blossoms starts at one cent and goes up to $2 for a spin. Thanks to the 20 pay-lines available, this leaves you with the possibility to wager up to $40 for each spin. This way Cherry Blossoms slot can be considered to be a great game for the low and medium stakes players. 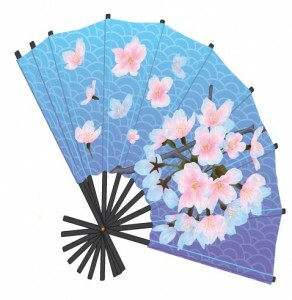 Another opportunity given by Cherry Blossoms is the gamble feature. This feature allows you to double or even quadruple your winnings at the end of each spin that turns out to pay you something. All you have to do is click on the gamble button and then you have to choose either the color or the suit of the next mystery card. 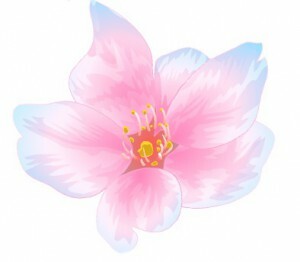 Cherry Blossoms seems to be created especially for the players that are looking for a game with a Japanese theme. It’s always great to dive yourself into this interesting culture and the best way to do it is with the help of this NextGen Gaming release. Thanks to the fact that there is a fixed jackpot worth 12,500 coins, this video slot game can easily become your favorite. This online slot machine can give you plenty of winning opportunities and it won’t be long before the special features get triggered.